Quirky Florence Museums is the name I’ve given to those unique and special museums that many visitors to Florence unfortunately miss. These museums may not be world renowned like the Uffizi or the Accademia, but they are every bit as interesting - if not more so – depending on your personal likings. What’s more, many of these lesser-known museums offer you a chance to really get to know Florence by offering a close-up view of one specific aspect of the city's past displayed in a small accessible setting. Which of the Quirky Florence museums is for you? Palazzo Davanzati is simply wonderful. 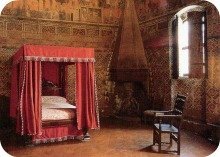 Visit this authentic medieval Florentine home to see where a wealthy merchant family lived in the 1300s. Step back in time and enter into the home as it existed during the Middle Ages and Renaissance times at Palazzo Davanzati. The Opificio museum is dedicated to the art of Florentine mosaics. Pictures and magnificent objects are all created with semi-precious stones and gems. See mosaic 'paintings' made of marble, granite, jade, amethyst and hundreds of other materials from all over the world at the Workshop of Semi-precious Stones. Frederick Stibbert lived in Florence in the 19th century. Stibbert dedicated his life to collecting military suits of armor, weapons, costumes and artifacts from all over the world. World travel was a privilege that only few could afford in the 1800's. Stibbert was one of the fortunate ones and created an homage to his travels in his own home. Visiting his 'house-museum' is a journey to far away lands and other epoques. Find out about the Stibbert Museum. A fashion museum dedicated to the master shoe maker, Salvatore Ferragamo. Although born in the south of Italy, in the 1920's Ferragamo gravitated to Florence in search of expert craftsmen capable of producing quality shoes by hand. He found them, and the rest - as the saying goes - is history! 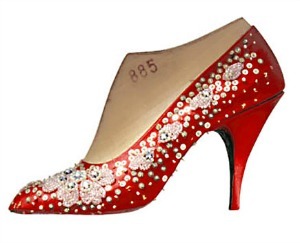 Learn about how a boy from a family of 14 created a Florentine shoe empire, see prototypes of Ferragamo's highly creative shoe models, and see examples of shoes custom-made for Hollywood stars such as Marilyn Monroe and Elizabeth Taylor. 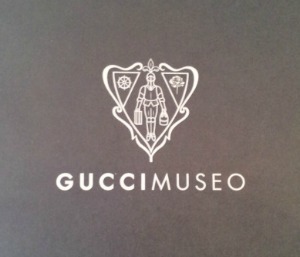 The Gucci Museum opened in 2011, the 90 year anniversary of the founding of Italy's largest and most iconic fashion house. This Quirky Florence Museum is clearly a must for anybody who loves haute couture, the Italian way. A Florentine company par excellence, Gucci started out making suitcases and saddlery to eventually become a desiger label of master craftsmanship sought out by the world's elite. This museum is a journey through the first 90 years in the life of Gucci.